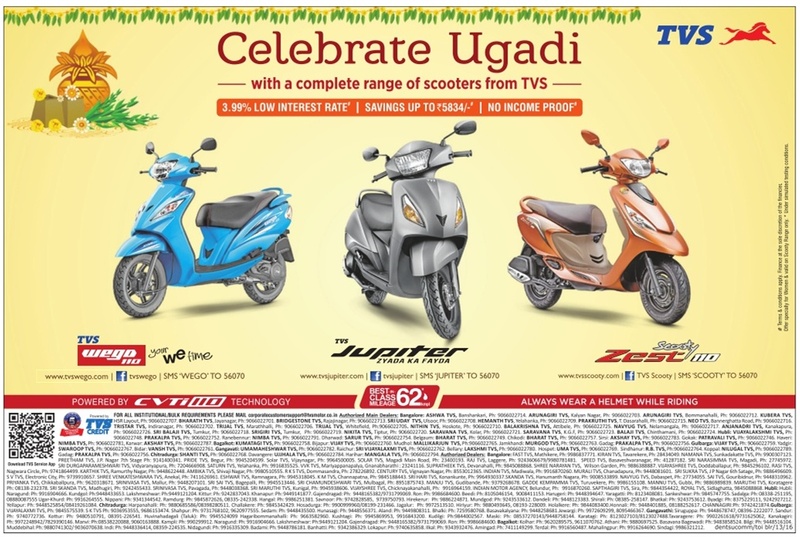 Celebrate ugadi festival with a complete range of scooters from TVS. 3.99% low interest rate. Savings up to Rs 5834. No income proof. Offer valid on TVS Wego, Tvs Jupitor, TVS scooty Zest. Best in class mileage 62kmpl powered by CVT 110 technology.